RBS also known as The Royal Bank of Scotland is a Scottish bank offering financial services and products to people in the United Kingdom. With more than 92,000 employees, The Royal Bank of Scotland was founded in 1727 and is providing finance and insurance products, consumer banking and corporate banking services in more than 700 branches in Scotland, England and Wales. If you happen to be a RBS UK customer and you want to cancel any of the products or services offered, then this article may help you to understand to make the cancellation easier and faster that you would do it without any knowledge. To do that cancellation better, please follow the steps presented in the article below. This piece of information about the Royal Bank of Scotland UK is written exactly as a multi-step guide created for customers like yourself in order to understand better how to cancel RBS products or services, including a bank account, a credit card, a loan, a mortgage or an investment or your entire RBS UK account. If you need to know more about this financial institution, please visit the RBS UK contact numbers page on our website. Entering the RBS UK homepage will give you the best perspective over the most valuable information you can find on the internet about how to cancel Royal Bank of Scotland services or products. When you visit the support pages of the RBS UK website you will be able to see and read information about how to cancel different RBS products and services. You can find out how to cancel RBS credit cards or cancel RBS debit cards, how to cancel RBS accounts, or amend an RBS loan. When you are a customer RBS UK services you may happen to be also a customer of their credit cards; at any time you may want to cancel one of your RBS credit card or the RBS debit card you have. In case you have lost your credit card or maybe it was stolen from you, then you should immediately contact RBS customer service and ask for the cancellation of your credit card to limit the loss. You can make the report of losing your RBS credit card by the phone at the end of this guide or via RBS Digital Banking, just log in to your RBS account and go to the Cards section and choose to Manage your card and then send your report as lost or stolen. You will receive a new card if you want within five working days from the moment of your report. If you want to cancel your credit card for other reasons, you just have to follow the same steps, but instead of reporting the lost of your credit card, just ask for a cancellation. If you can’t make the cancellation online in your RBS UK account, just use the RBS customer service telephone number at the end of this guide. When you are a RBS debit card customer and you made a payment for a subscription to a service or a publication like for example for Netflix, iTunes, Paypal or Amazon Prime, then maybe you want to cancel that service because you no longer need it or want it. If you request the cancellation of future payments to these services you have to get in touch with RBS customer service or just complete the RBS cancel a regular debit card payment form. 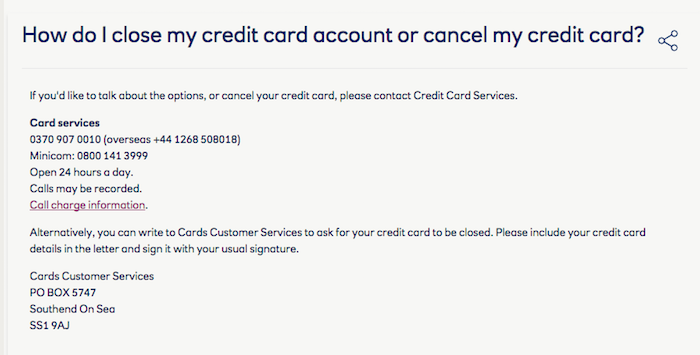 If you have an active recurring payment to an online service like Netflix, iTunes, Amazon or Paypal and you have made your first payment using an RBS UK credit card, then to cancel your recurring payment you need to inform RBS about this by completing an RBS web form or by speaking with the customer service team at the end of this guide. Complete some details like your first and last name, address, credit card number, the company you have bought the goods or services from, payment amount and the next due date as you can see in the picture above. Whenever you want to book a branch appointment you have first to visit a branch or by contacting RBS by email or by the phone. An appointment is not necessary if you want to cancel an RBS credit card, if you want to change your home address or if you want to pay a bill. An RBS branch appointment is necessary when you want to speak with an RBS Mortgage Adviser or if you want to speak with your RBS Premier Banking Manager. You will need also an appointment for a Financial Health Check, to add additional parties to your accounts, to review your accounts, to discuss paying existing products, your loans or your credit cards or to apply for new RBS products. However, if you want to cancel your existing RBS UK appointment due to personal reasons you should contact RBS customer service team at the end of this guide by the telephone. When you login to your RBS UK account, you will be able to access your Digital Banking account or your Credit Card services. To login to your Digital Banking, please enter your RBS Customer number or your card number and if you want to access your Credit Card services, please enter your Credit card services username. Access your RBS services and cancel them and if you want you can cancel your entire account. If you can’t handle this cancellation by yourself, please read the next paragraph and contact RBS customer service by phone. As you could see by browsing this article it is not a very difficult task to cancel your RBS services, products or the entire account. You just have to log in to your RBS account and look for your services and ask for an RBS cancellation request. However, if you find this task difficult, please get in touch with RBS contact number 0345 724 2424 and a member of the support team will guide you through the cancellation process!